Product SummaryThe Honda 270cc GX Series OHV commercial-grade engine is designed for the most demanding commercial applications. It has set an industry standard for reliability and durability. Overhead Valve design offers cooler, .. 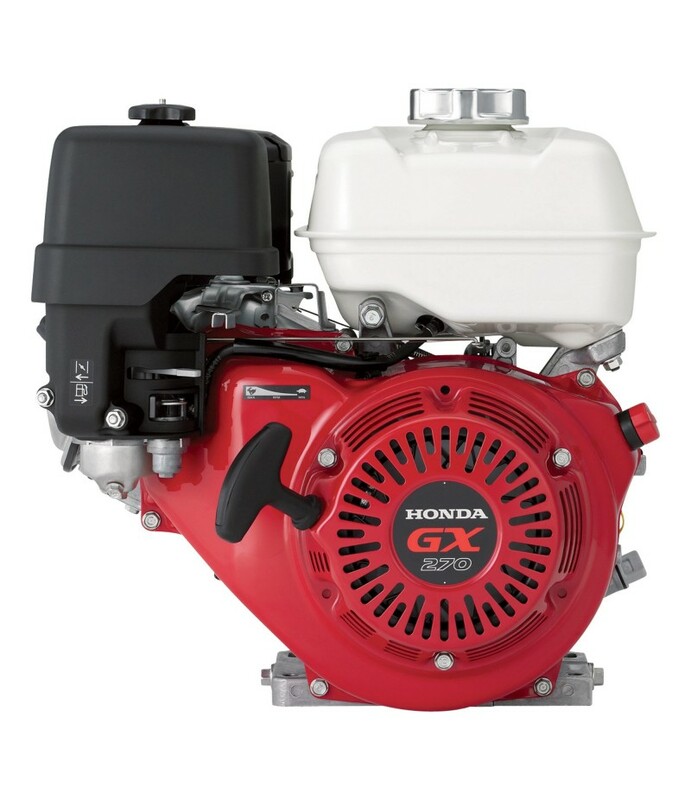 The Honda 270cc GX Series OHV commercial-grade engine is designed for the most demanding commercial applications. It has set an industry standard for reliability and durability. Overhead Valve design offers cooler, fuel-efficient operation and cast iron cylinder sleeve provides longer service life. The GX is reliable, easy starting and quiet running. Meets EPA and CARB emission levels standards. This legendary engine has earned the reputation as the preferred engine for construction equipment. Common application: cement mixers.